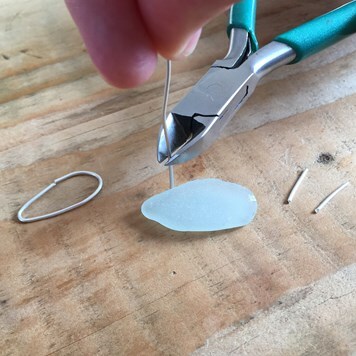 This step by step tutorial teaches you how to make a prong or claw setting for irregular shaped stones such as sea glass or certain freeform Australian boulder opals, the process can also be replicated for calibrated cabochons as well. Create a wire ring a bit smaller than your stone, you want it to be about 1-2mm in from the outside edge of the stone. This will be the backing for your setting. Cut away any excess wire with side cutters then file the ends of the wire to make sure they sit flush ready for soldering. 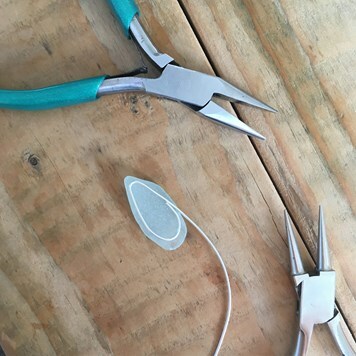 Next you need to cut the lengths of wire for your prongs (you need them long enough to wrap around the edges of your stone so as a gauge make sure they are about double the height of the stone). It's always handy to have a bit extra as you can cut it down to size later. you can add as many prongs as you like but we recommend at least 4 to make sure your stone is held in securely. 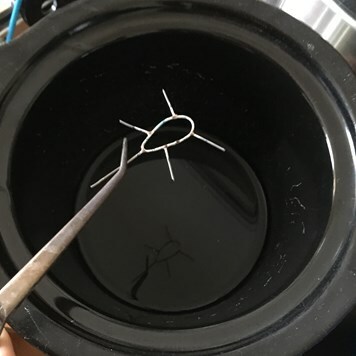 Place the wire ring on a solder block then arrange your prongs around it in the positions you want them - try to ensure the arrangement will keep the stone safe. Once in the right place add your solder paste (any grade will be ok) or pallions and flux* to the joins. 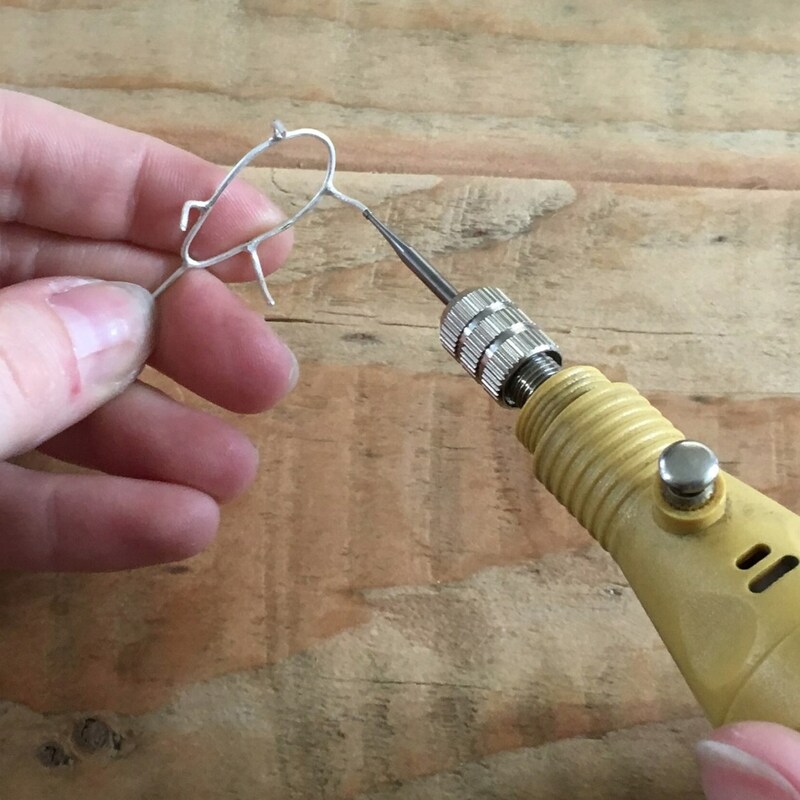 (If you're making your design into a pendant or earrings you may want to also add a bail at this point too, you can do this using a jump ring or another length of wire and then later form it into a ring with some round nose pliers). 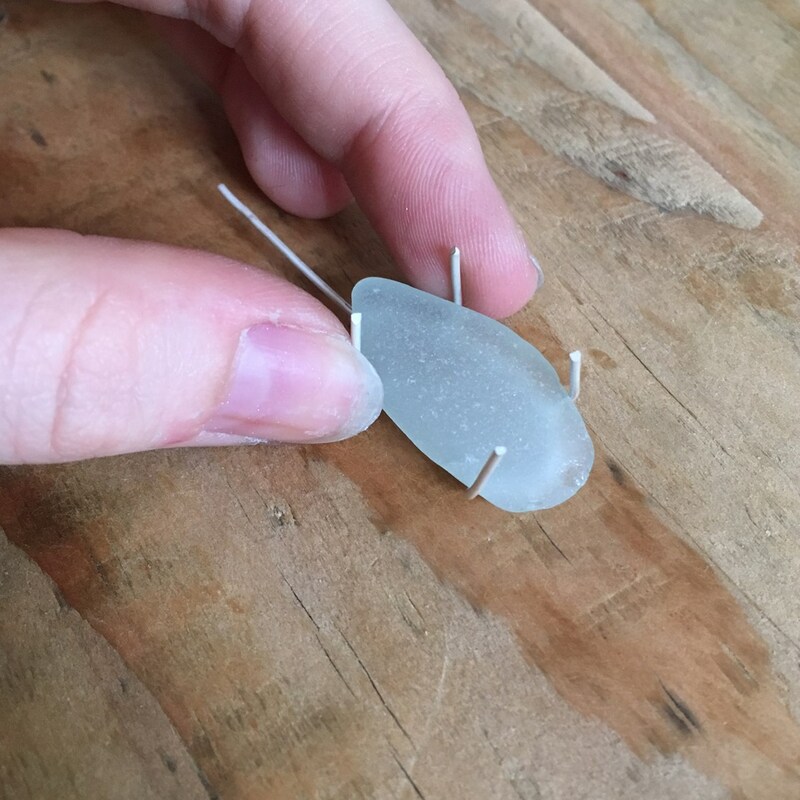 *We do find the solder paste better for this job as its easier to apply it to the positions you want without the possibility of it moving once you apply the heat. Once you've applied your solder, take your gas torch and heat the piece until the solder flows, when all the joins have been soldered use some insulated tweezers to transfer the piece to your safety pickle and leave for a few minutes to remove the fire residue. Place your stone in the centre of your wire ring. Keeping it central, gently bend the prongs so they are sitting at a 90 degree angle. This should be quite easy to do as the wire will be annealed from the soldering process. You can use some flat nose pliers to help if you're finding it difficult to shape. Ensure your stone fits snugly between the prongs. 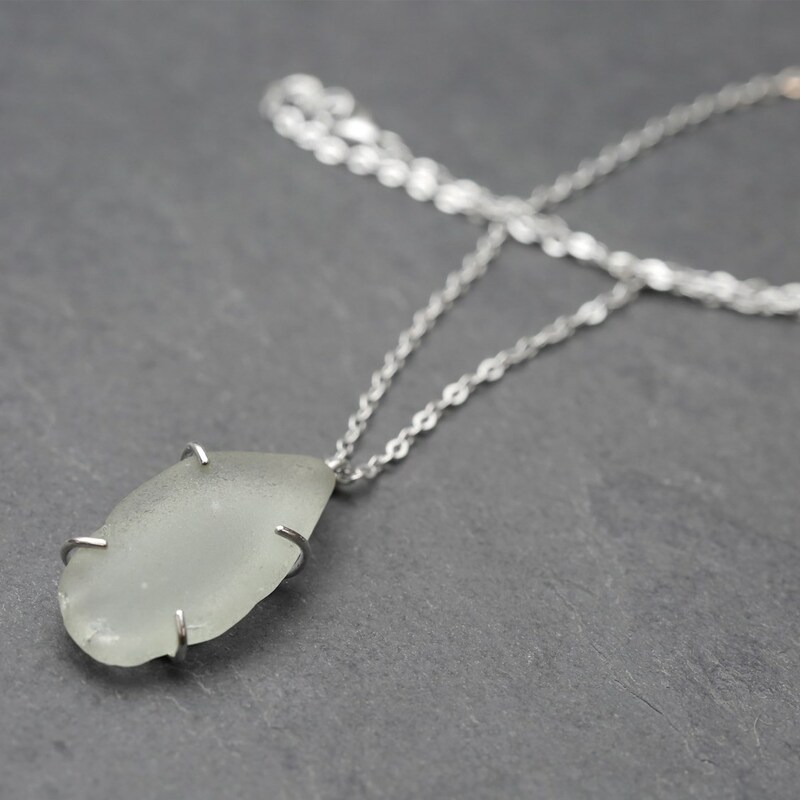 Cut off your prongs to your desired length, you want these to be long enough to neatly fold over the top of the stone to secure it in place. 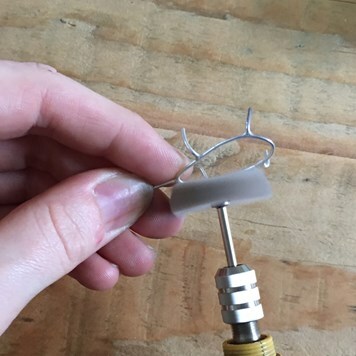 At this point you will also want to round off the end of your wire prongs, you can so this with needle files or wet and dry sanding paper but we recommend using a cup burr to easily round the ends of the wire. 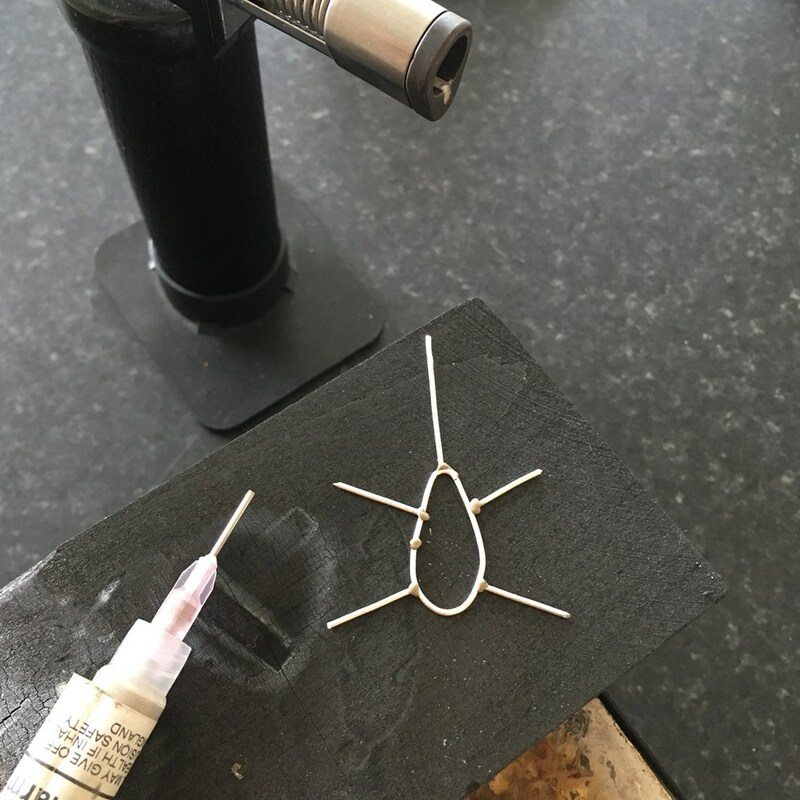 Once you've finished neatening up your prongs check all your solder joins are neat and free of any excess solder. 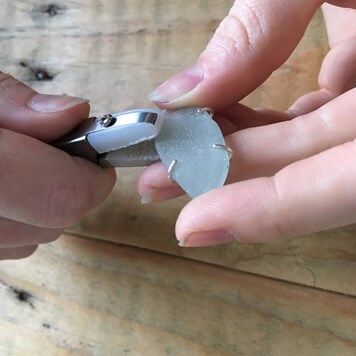 You can now polish up the setting - there are a few methods to polish up your setting, you can use some polishing attachments on an electric hobby drill, you can put them into a barrel tumbler or you can do it manually and use some polishing papers. If you would like your design have a satin finish polish with a wire brass brush. (One thing to note here is that if you have made your setting to be used on a ring you will want to solder the complete setting onto the ring band before polishing it up and setting the stone). Last step is to set your stone! Take your time to push the prongs over the edges of your stone, a pusher or some nylon jawed pliers can be used to help you do this. 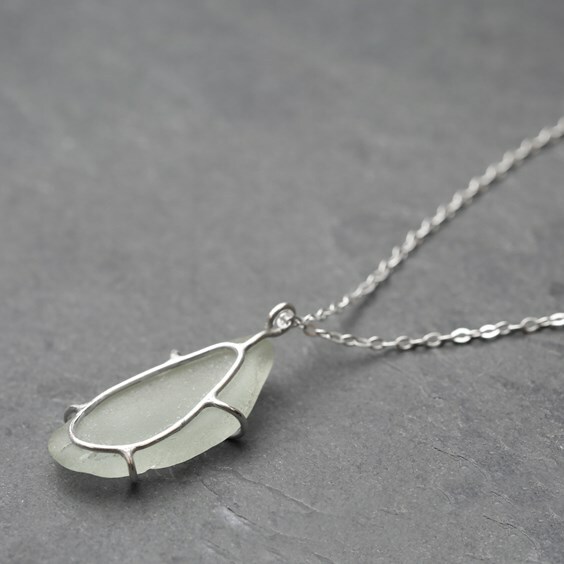 You want to make sure your stone is securely in place and does not move in the setting. 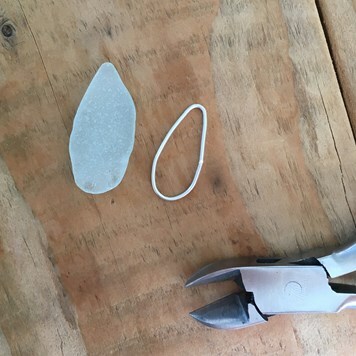 You may wish to add a small amount of glue to the back of the setting under the stone for added security. Your setting is now complete!